One of the most obvious advantages to growing plants in a greenhouse is being able to garden year-round and in all kinds of weather. How much your green thumb will benefit from a greenhouse depends on how much you spend on its construction. But whether you choose to erect a small hoop house or a large hothouse, a greenhouse saves money and time that you'd otherwise spend at the grocery store. 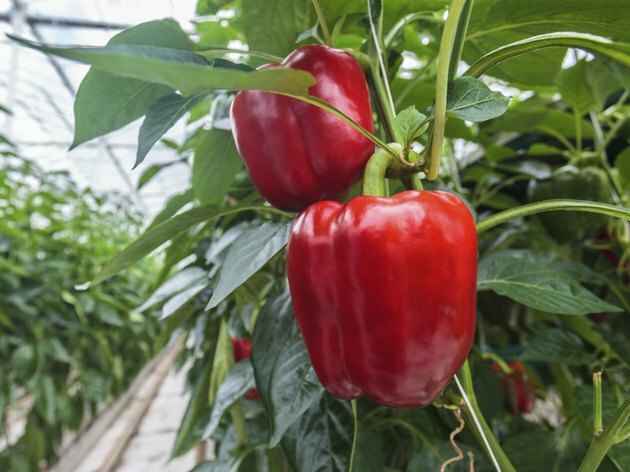 Two ripe red peppers growing in a greenhouse. In the controlled environment of a greenhouse, you can grow just about any kind of herb, vegetable, shrub or tree -- even exotic plants that wouldn't normally be possible in your location. Gardeners in the northeast, for example, who wish to grow and enjoy ornamental plants that are native to the southwest can usually do so in a greenhouse. A greenhouse provides plants with protection from wind, rain and other harsh weather elements, not to mention predatory pests and animals. With careful plant selection and proper ventilation, there is less risk of soil-borne disease. The structure also provides a safe place for seeds to germinate and seedlings to develop that might otherwise be targeted by birds, heavy rain or unexpected frosts. Having a greenhouse usually means having more edible vegetables and bedding plants, not only because plants have less exposure to potential threats but also because more plants survive in conditions where temperature and humidity are controlled. In terms of growing food, increased yield promotes a sense of self-sufficiency and translates to saving money. A greenhouse also makes it much easier to successfully start plants from seed, another money-saving advantage over buying starter plants from a nursery. With a greenhouse, it's possible to start plants from seed earlier than you would outdoors. Similarly, many vegetables can be greenhouse-grown later in the season than their counterparts in the field. Several varieties of salad lettuces and cooking greens, for example, are suitable choices for a greenhouse in winter. Spring vegetables and hanging baskets of flowers may be possible in a greenhouse long before the ink is dry on the first seed catalog to arrive in your mailbox. There are many different types of greenhouses, each with pros and cons. 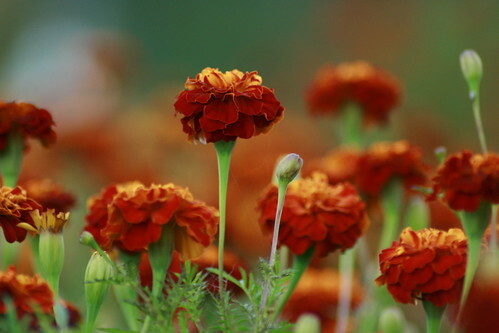 What type is right for you depends on your location and the kind and volume of plants you intend to grow. In other words, if you hope to open a small vegetable stand or sell flowers at a farmer's market, then a larger structure enclosed by glass and with a floor and a drip-irrigation system installed is a better option than a smaller hoop house set on the ground and lined with clear plastic. Be sure to evaluate your needs and do your research before investing in a greenhouse.